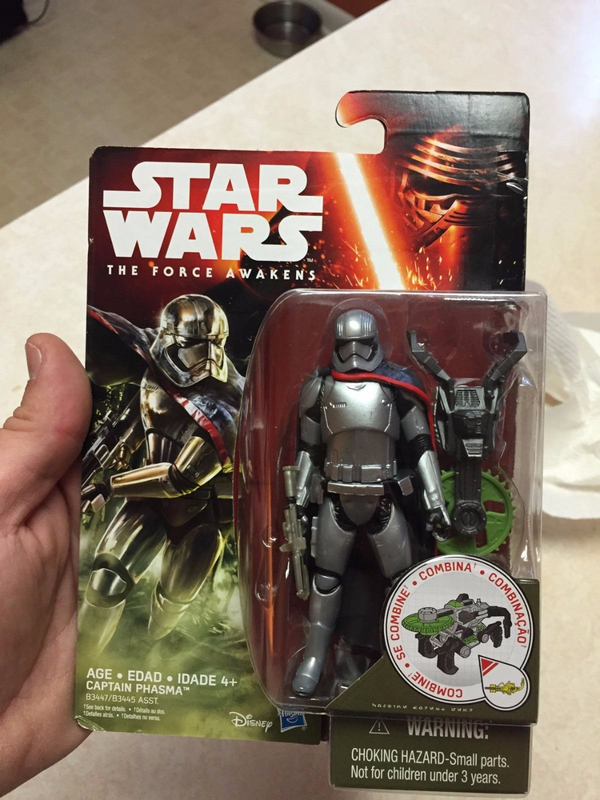 Just like Kylo Ren, a Captain Phasma 3.75″ action figure has hit eBay! This figure also has the build-a-weapon piece. I cannot wait to get this one as well. It’s hard to see if this figure has reflective chrome or not, but nonetheless it looks great. One of the other details to notice is how tall this figure looks. This figure will be released on September 4th during Force Friday.